The Arrow Bizpress is the latest in digital printing technology. 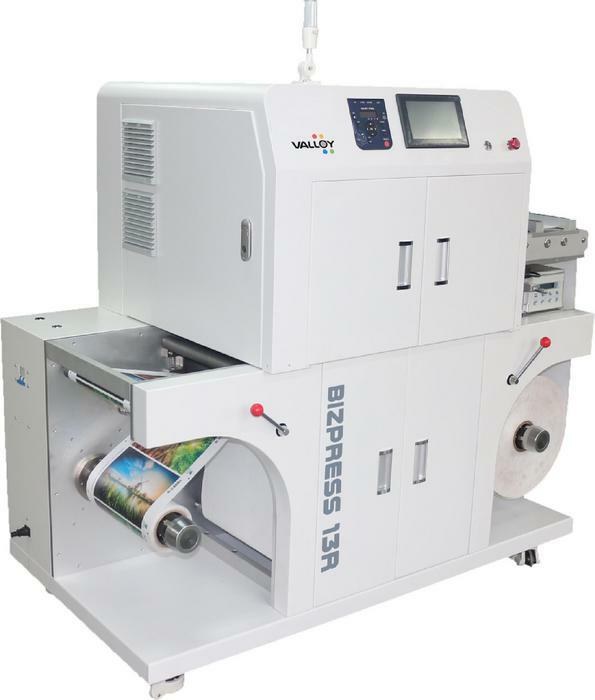 The Bizpress utilizes a specially designed engine to print high resolution (1200 x 2400 dpi) label files roll-to-roll. With a printing speed of 24’/min and a low-temp fuser, the Bizpress is the perfect solution for even the most delicate of substrates. The addition of a de-ionizer helps reduce the effects of static from materials such as PE, PP, PET, and others. The Bizpress is the perfect addition to any digital printing operation. Media type: 60 – 250 micron paper, PET, BOPP, PE, PVC, and more!